Missing teeth are among the greatest threats to oral health that exist. Contrary to what many people believe, they pose more than simply aesthetic problems. When a tooth is lost, it triggers a number of reactions in the body, none of which are positive. Fortunately, dental bridges are a time-tested treatment that can help to restore form, function, and health to the mouths of patients who are missing teeth. Not all dental bridges are the same, however. At Smile Solutions by Emmi Dental Associates, we offer both traditional crown-supported and implant-supported dental bridges. Both treatment options offer numerous oral health and cosmetic benefits. The treatment that is right for you will depend on many factors, including your candidacy, the time you are willing to commit to treatment, and your budget. When discussing the issue of traditional vs. implant-supported dental bridges at our Wilmington, DE dental practice, Drs. Jeffrey Emmi and Laura A. Dougherty explain both options in detail so that patients can make the most informed and confident decisions possible regarding their care. Which type of dental bridge is best suited to your particular case? We invite you to find out by meeting with Dr. Emmi or Dr. Dougherty at our office for a one-on-one consultation at your earliest convenience. What Are Traditional Dental Bridges? Traditional dental bridges are fixed in the mouth so that they cannot be removed by hand. They comprise one to three artificial teeth that are held in place by dental crowns attached to the natural teeth adjacent to the gap once occupied by teeth that are now missing. With the artificial teeth in place, the smile will appear complete once more. By filling the gaps once occupied by natural teeth, they prevent the teeth adjacent to those gaps from moving out of their optimal positions in the mouth. This, in turn, helps to prevent bite problems. 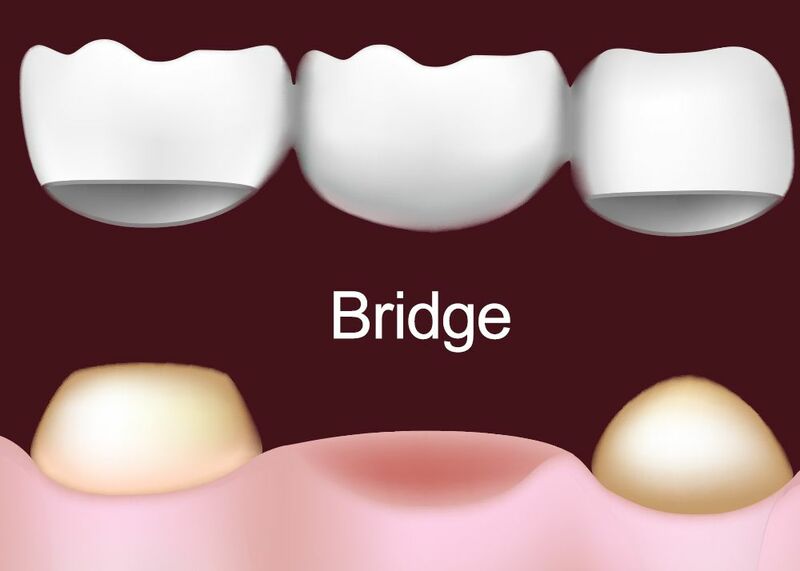 Bridges are created from the finest porcelain and other materials to ensure a completely natural, aesthetically pleasing appearance. Traditional dental bridges are highly durable, standing up to normal wear and tear for ten years or longer before they require replacement. The only real downside of traditional dental bridges is that they do rely on healthy natural teeth for support. In order to accommodate the dental crowns that hold the bridge in place, these teeth must be filed down prior to placement. What Are Implant-supported Dental Bridges? Prevent the degradation of the jawbone that occurs when teeth are lost. Can last for forty years or longer. Secure the bridge below the gumline, resulting in a more natural look and feel. To learn more about dental bridges and which type of dental bridge might be right for you, please contact Smile Solutions by Emmi Dental Associates today.